The Learning Support Center, or LSC, provides students with individualized assistance in a supportive atmosphere for various academic disciplines. It is a place where students are taught to become more efficient and effective learners. The LSC first opened on 27 November, 2010 in the Fall semester with a Coordinator and 9 Peer Tutors helping students in English and IT. 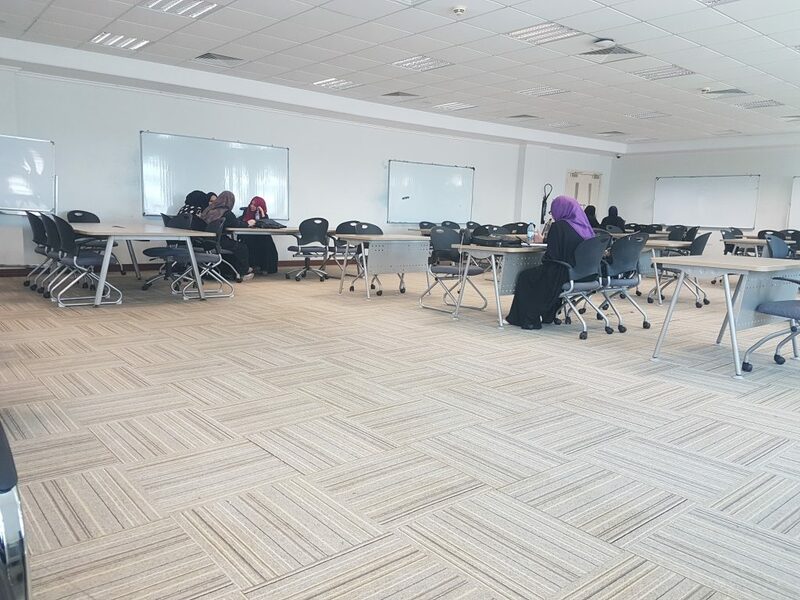 Today the LSC has a Coordinator and over 30 part-time peer tutors providing tutoring sessions in English, IT, Math, Social Science, Business, Finance, Engineering, Physics, Chemistry, Law and Arabic. 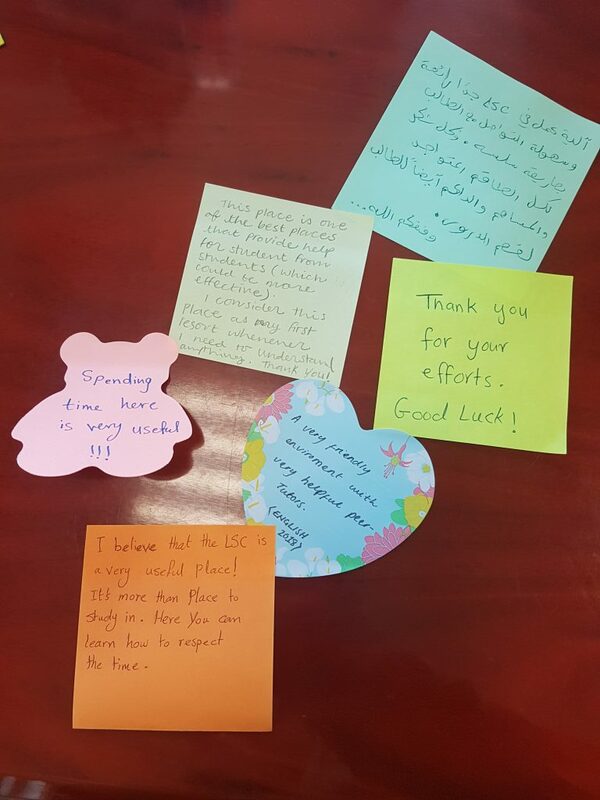 The LSC provided 2700 tutoring sessions in the Fall semester 2018/2019. Ms. Mediha Younis is the LSC coordinator. There is also a team of qualified, trained peer tutors who conduct the tutoring sessions under the supervision of the Coordinator. Please contact Mediha Younis at: myounis@du.edu.om for further information. . The LSC is located in the Library on the first floor (right side). Students can sign up for a tutoring session in person at the LSC or by calling the coordinator. They can also just drop by for a tutoring session and if a PT is available they can have a tutoring session on the spot. Instructors can support the students at risk by discussing with them the benefits of attending tutoring sessions at the LSC. 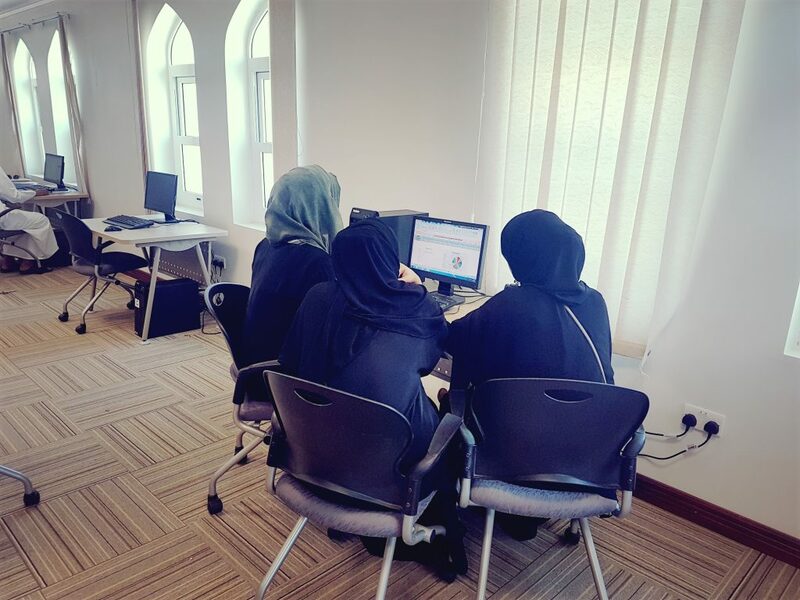 The Omani Peer Tutoring Network (OPTN) aims to connect peer mentoring programs with various writing centers through the Sultanate of Oman by sharing common experiences, effective pedagogy, and resources for cooperative learning and independent initiative. To play a supportive role in guiding students towards academic success, installing quality study habits, and establishing peer tutoring as a standard educational resource. To provide a channel of communication for the peer tutors in Oman. To promote the professional development of peer tutors to become contributing members of the Omani society. To strive and promote academic excellence. To encourage other institutions to integrate peer tutoring as a standard student support element.